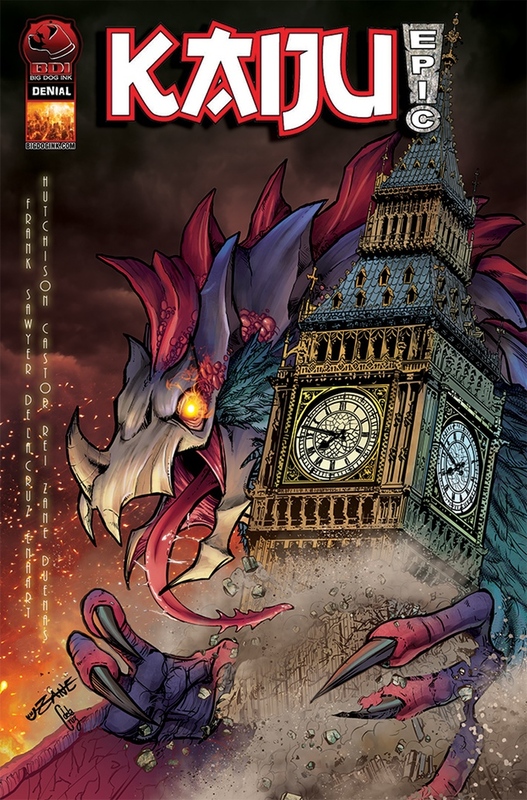 We’re in the last two weeks of the Kaiju Epic! Kickstarter, and we need your support to make this book a reality. I’ve posted a ton of stuff about this on my Facebook page, and on Instagram, and on Twitter, so I won’t rehash everything here, but I’ll embed a few relevant Facebook posts at the bottom of this post, in case you want more info. What I will tell you is that this book is very much a labor of love, both for me and for my co-writer Tom Hutchison, and your support means a lot to us. What I will tell you is that kaiju have held a special place in my heart since I was a little girl gleefully watching old Godzilla movies with my dad. What I will tell you is that the Kaiju Epic! story draws from a vibrant tapestry of myth and legend, from around the world, from Tom’s Aztec kaiju gods to my Medieval-inspired cockatrice. What I will tell you is that at the center of my kaiju story is a bisexual polyamorous heroine. Because representation matters, yes, but it’s not just about making a statement. It’s a storytelling choice — because I believe that when our narratives only feature one type of person, or one style of relationship, or one kind of perspective, we miss out on so many other rich and interesting stories. I tend to approach stories from the character first, and each character gives me an opportunity to explore new experiences and different facets of human nature. Gee (and her partners Sarah and Ravi) are no different in that regard. Check it out, support it if it sounds like something you’d be into, and please share. I promise you won’t be disappointed. ← She is one with the Force, and the Force is with her.